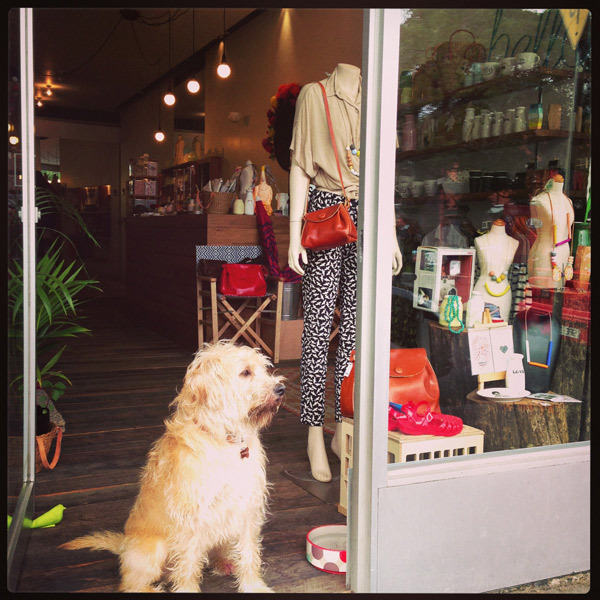 FK chats to the lovely Jules about the captaining of her gorgeous shop Lunar Store, located in Prahran, Melbourne. 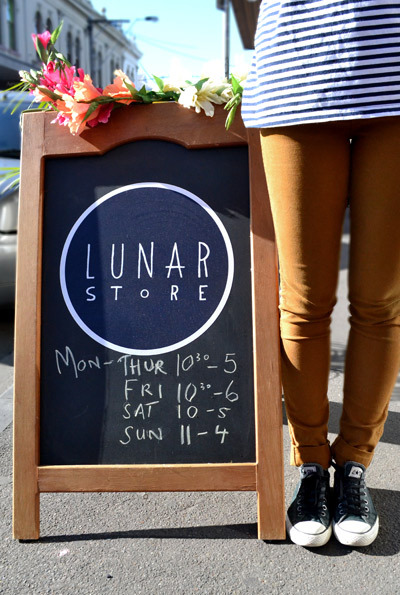 Tell us about your shop Lunar Store and what things we can expect to discover. Lunar Store houses all things off beat and unique! 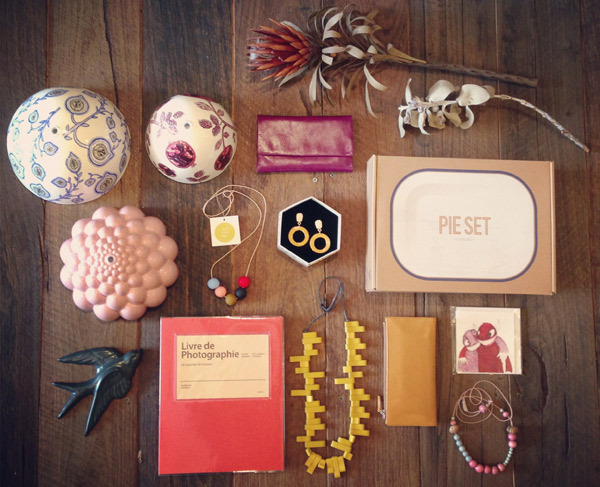 You’ll find a pretty awesome range of home wares, jewellery, leather goods, photography products, and a carefully selected apparel collection that includes the signature prints of Melbourne designer Arabella Ramsay. Colour and texture are embraced as much as possible; from handmade ceramics to handcrafted polymer clay jewellery, all palettes are catered for. 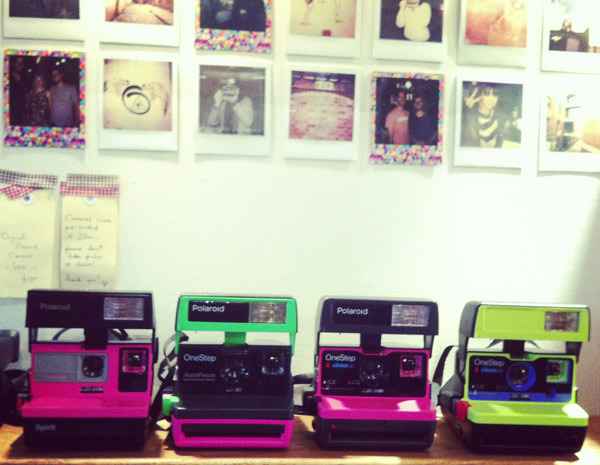 A special mention goes out to our run of vintage Polaroid cameras and the ode to analogue photography. It may be little, but with the depth of its range, Lunar Store packs a punch! Lunar is still a new kid on the block! The store has been trading for over one year now, but it’s been in the heart and on the mind for about a decade. The need to have a consent creative outlet paired with the desire to be my own captain lead to the store’s conception. After many years of compiling experience and contacts in the industry, the leap was finally taken when I stumbled across the vacant space on Greville Street. When it’s right, it’s right. I went head first into it, from finalising the business plan to sketching out what it would look like and imagining how it would feel. What labels & product do you stock and what are you always searching for? It’s a growing list! 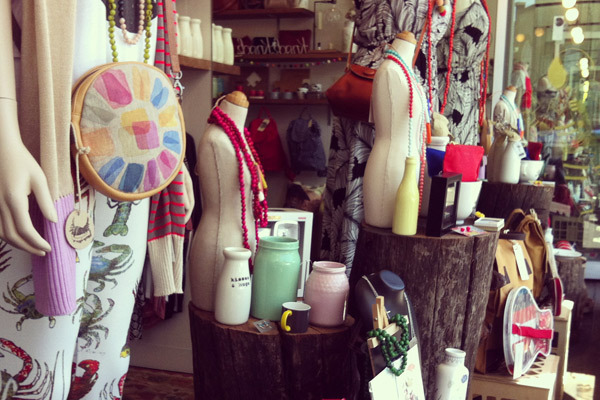 The store houses a lot of Melbourne & Australian made pieces from the likes of Emily Green, Not Tuesday, Erin Lightfoot, Corky St Clair, Love Hate, A Skulk of Foxes, Emeldo & Limedrop to name but a few! 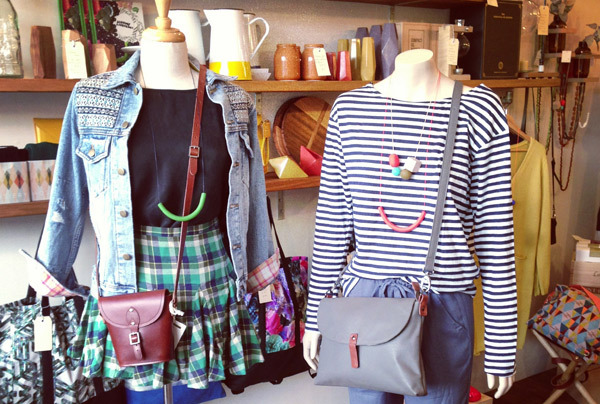 International labels that also get a mention are Baggu from NYC, Karen Walker from NZ and one of my favourites, Falcon Enamelware all the way from England. I am always on the look out for products that carry a story, feel nostalgic, are textured and are solid to hold, or that simply resonate with me from a stylistic point of view. I have a personal interest in objects that make my pupils dilate with pleasure, IE Page Thirty Three’s Essential Oil Burner and the blurred romance of polaroid picture from The Impossible Project. 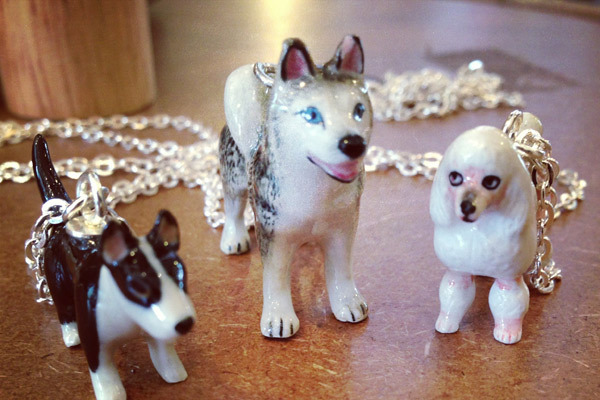 What do you love about your shop and what keeps you inspired? I love that the store aesthetic is always in a state of flux. The feel and look of the store can change so quickly with each product bought and sold. What is unwavering though is the wooden skeleton of the shelves and cabinets, finished by heart and hand by my partner Rhys. It’s an awesome foundation to work off; it gives the store warmth and character. I am constantly inspired by that platform; the changeability of the store’s perspective, the infinite mix of products that give the store it’s personality. That alone is inspiring, to be in space that is in motion without moving. What inspires you about your surroundings and what other aspects about Melbourne do you love? I am a big fan of Greville Street. The street itself has a lot of history. It has always been an independent shopping strip that marches to its own beat. I like that about it. The buildings along the street are aged and beautiful, there’s a park right across from the store that fills up with young skaters and lovers having picnics together. It’s alive and it’s a little bit grungey, right up my alley! What I love about Melbourne is the food, let’s be honest! I can’t keep up. The coffee, the pizza joints, the fact that I can choose to eat Afghani, Mexican, Italian, French and Thai food… anywhere, any night of the week, that is my idea of heaven! That and the abundance of cinemas here! I come from a town where there was only one cinema, so to have the choice of over 4 in my actual neighbourhood is superb! I love the endless possibilities of working with all the creatives and makers out there. I love facilitating the connection between their work and the person that loves it that much they need to purchase it. I enjoy the independence of running my own gig, and the opportunity to be a part of a successful retail community. Every day feels good, even the average days. The challenges I have come across have been mainly with my own desire to do everything myself, including the stuff that I’m really unexceptional at. Like tax. It’s good to be humble and to know that you can’t do it all yourself, raise your hand and outsource the heck out of it! Also, it’s cool to take days off! What new things do you have planned for Lunar Store for the rest of the year? Well, the online store should be ready any minute now! So that will add another dimension to the Lunarsphere! Alongside that, we are about to see the likes of Bridget Bodenham and her ceramic goodness in store over the next month. That I am really excited about! Also, Melbourne artist Billie Justice Thomson will be creating a window piece for the start of Spring. Awesome! The year is still young, anything can happen. Well done Jules, your shop looks beautiful!! 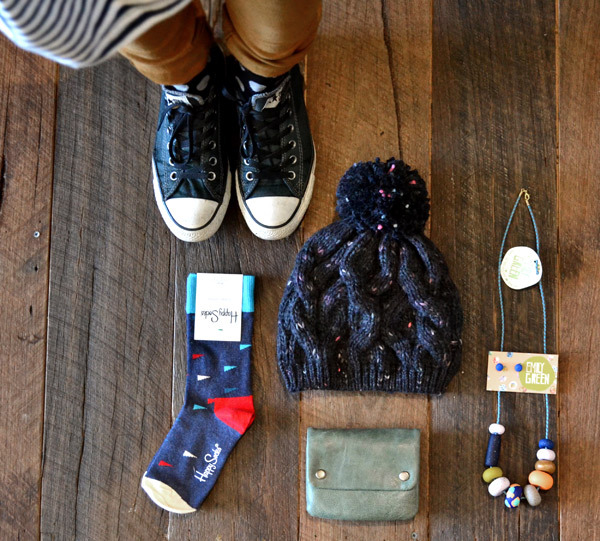 Love, love, love the Lunar store, I’m so hanging out for it to be online!